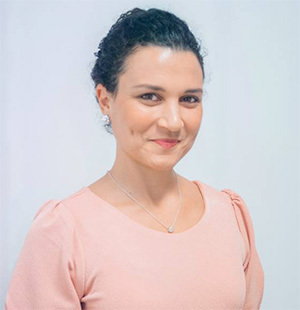 Camilla Menezes is an independent nutritionist from the beautiful island Madeira. She gives private consultations in Europe and she trains medical professionals on nutrition. Camilla takes into account her patients’ age, physical condition, health issues, level of activity and the climate they live in. Helping people to eat diets that better suit their bodies’ needs to improve health is Camilla’s great passion. She firmly believes that food is an easy way to strengthen the immune system and help prevent diseases like the flu. “My patients are often surprised how a few changes in their diet can improve their energy levels, their attention span and even their mood. They get less sick simply because their body is stronger and able to better fight viruses. Vitamin D: As we age our skin becomes less efficient at synthesizing vitamin D.(2) If you have limited sun exposure do make sure you get vitamin D in your diet through fatty fish like tuna, mackerel and salmon; foods fortified with vitamin D like dairy products, orange juice and cereals, as well as cheese and egg yolk. A supplement may be another option and your doctor or nutritionist may be able to help you adapt your diet depending on your personal health conditions. Eat your greens: Vegetables (especially leafy greens like kale, spinach and broccoli (2)), fruit and whole grains are high in antioxidants and phytonutrients, which help you prevent a cold or flu (3) and sharpen your mind as you age (2). Healthy food cannot only help you live longer, it also makes you feel (and look) better which boosts your mood and self-esteem. When you eat well, you are happier inside and out. Learn more about how to protect yourself from the flu.